Get the Payson Utah New Listings first. Buy Payson Short Sales and Payson Bank Foreclosures. Get Access to all new listings in Payson, Utah Before other Buyers, Free of Charge with NO obligation! 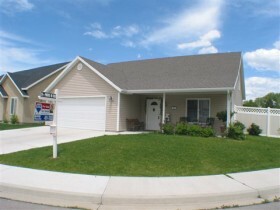 You will receive new Payson Utah listings. This listings come complete with pictures emailed to you within hours of them being listed. You pick the homes in Payson you want to view. This list includes Short Sale, Bank Foreclosures and HUD homes. Instead of driving around from house to house and viewing homes that you are not interested in, you can receive NEW listings with pictures and many with virtual tours of all MLS homes for sale that specifically match your criteria in Payson. This is the best search engine online with maps and google street views. Seeing homes first means that you have the jump start on other buyers and can get your offer in first. Get started now by following the link below. You will begin receiving your customized free Payson home list by email. If you would like to just browse feel free to do that too. The benefit to registering is getting the new listings first.